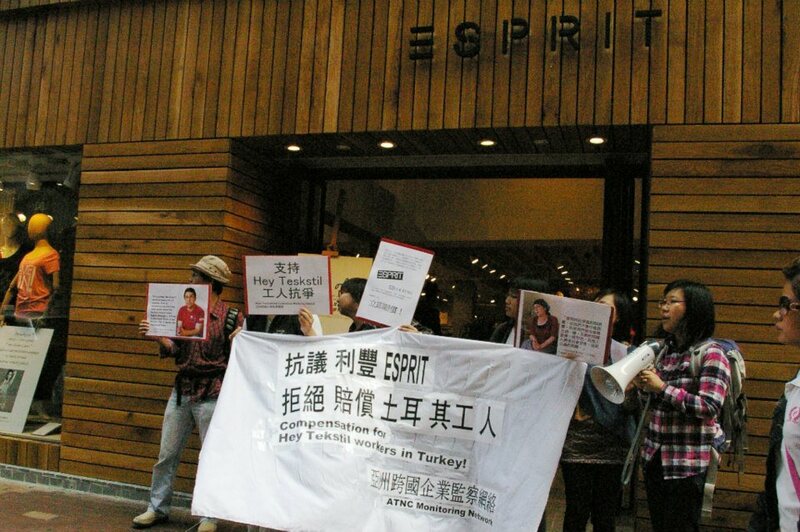 The conflict began in February 2012 when the last 420 of 3000 workers from the Turkish apparel company Hey Tekstil Sanayi ve Ticaret L.Ş. 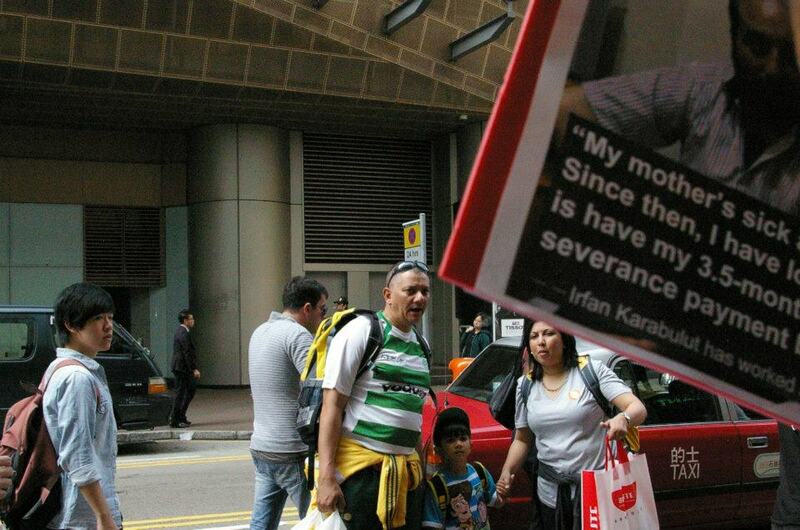 were fired from the company’s Istanbul factory without notice. 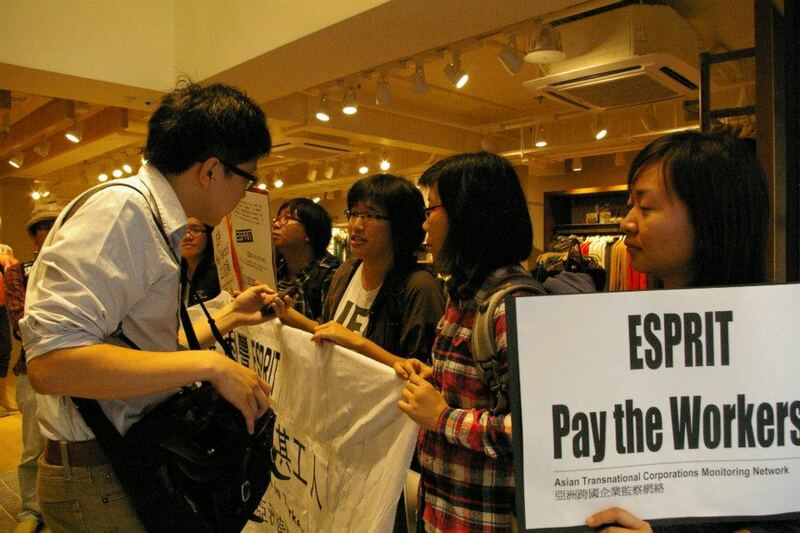 The workers did not receive their last three months of wages, nor were they paid severance and notification payment. 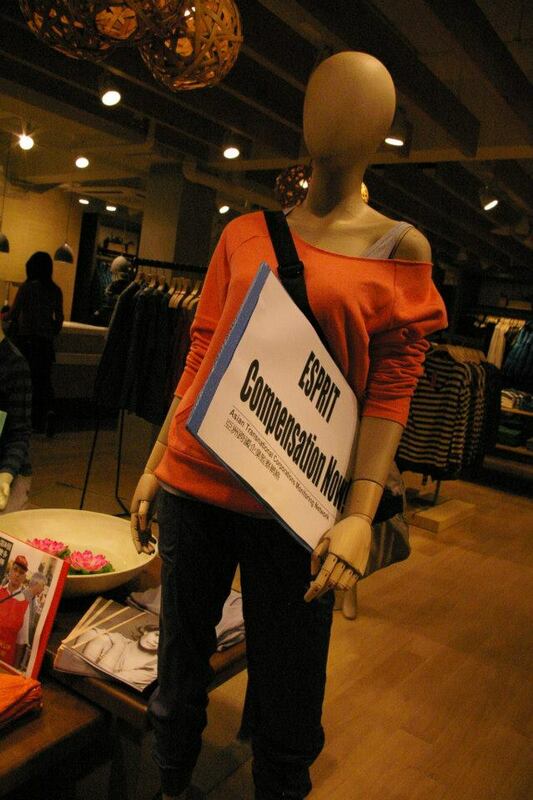 Collectively the workers are owed at least 4.7 million euros. 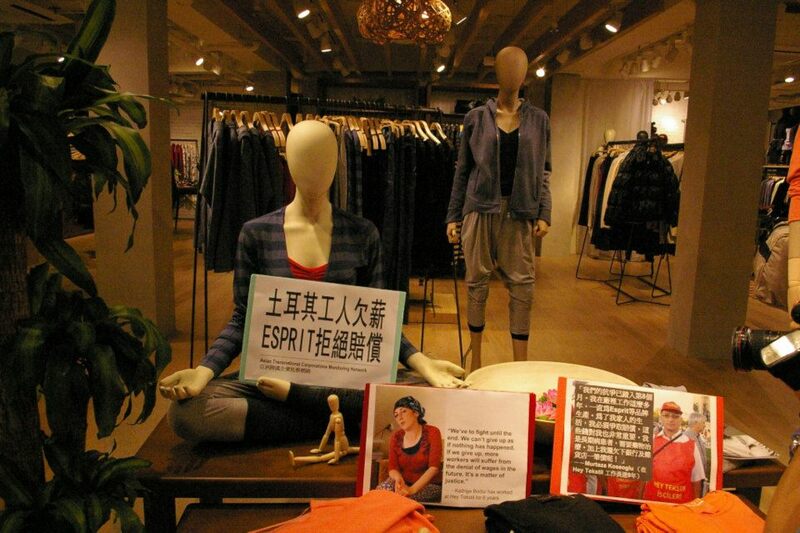 At the time of the closure of the factory, 80-90% of the clothes made at Hey Tekstil were for Esprit, sourced through its agent Li & Fung. 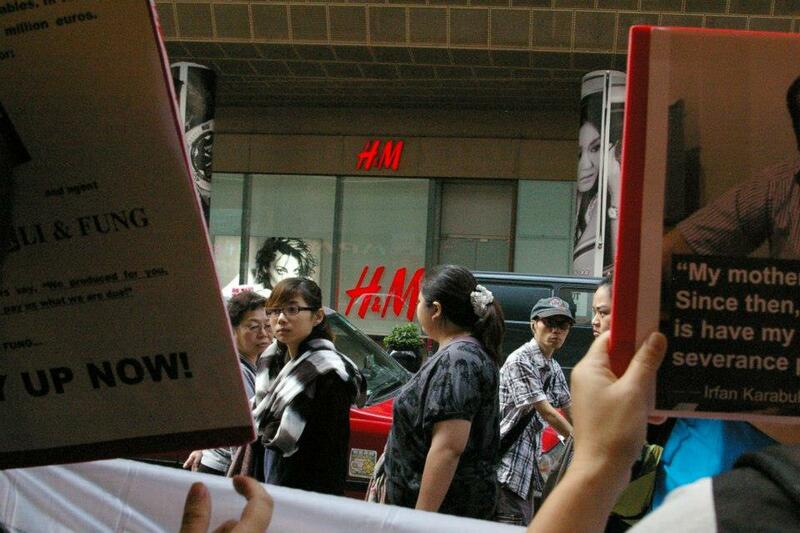 Since then the dismissed workers have embarked on a long struggle for justice, picketing in front of their factory and Li & Fung. 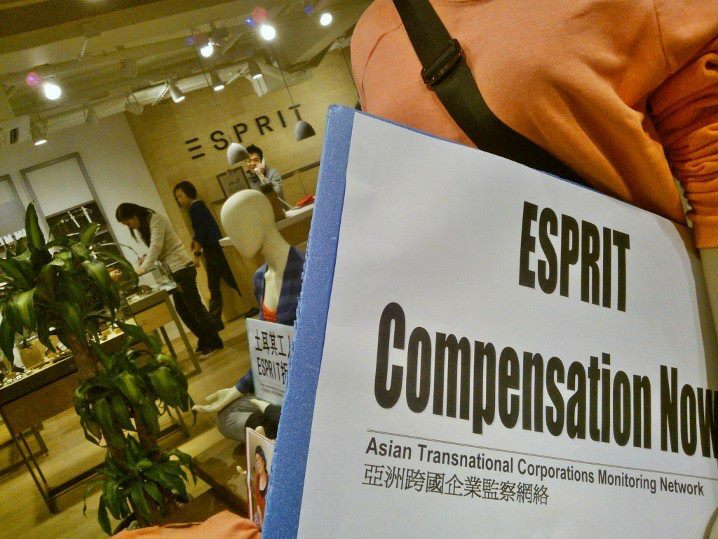 However, Esprit and Li & Fung responded by making a humiliating offer of “legal assistance” to workers who they know already have taken legal action themselves. 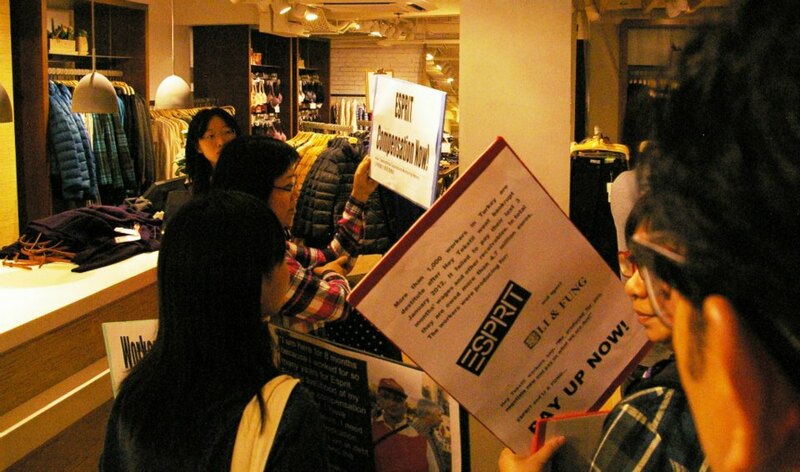 Esprit was even adamant in refusing to assume “third party debts”. 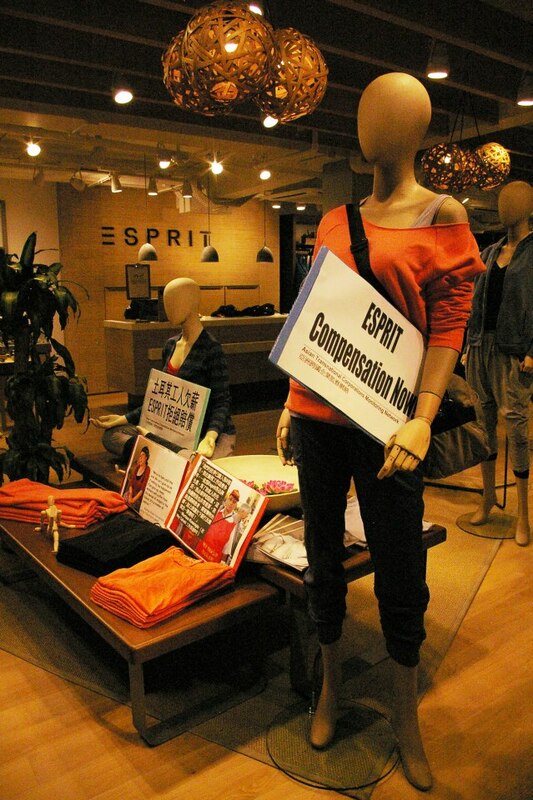 However, workers rights are not just debts that can be crossed out on paper; these are workers whose toils have built your brand and gave you your profits, whose hands have sewn your garments that are on display now in your shops, all without getting due remuneration. 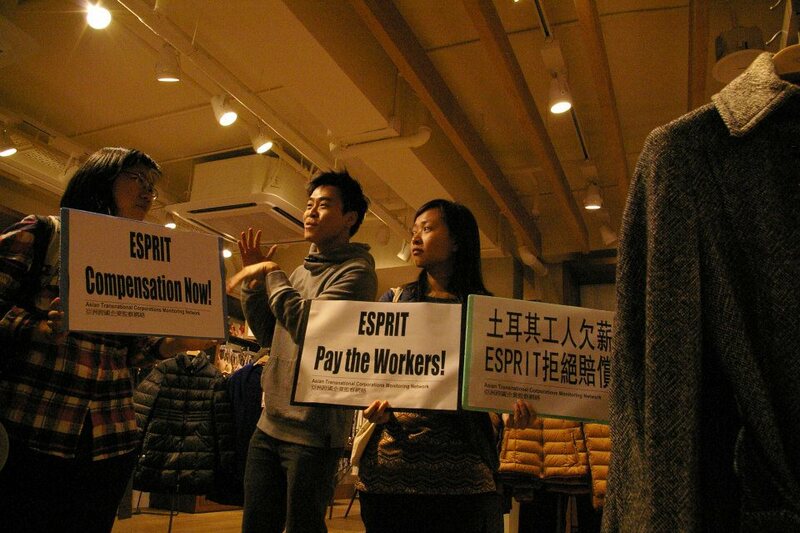 It is only fair that Esprit and Li & Fung should give the workers back their minuscule wages when these garments are sold for huge profits. 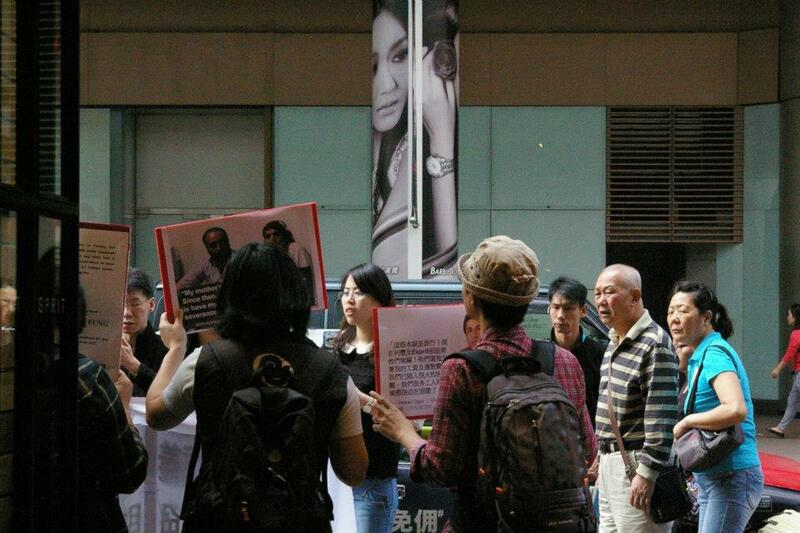 Moreover, your companies have failed to act when Hey Tekstil first started violating the law and your own codes of conduct, a clear failure in your due diligence and in your obligation to mediate. – Review the enforcement of your codes of conduct throughout your supply chain, and make available the compliance information for public scrutiny.